The constant threat of being exposed to hazardous chemicals is one of the harsh realities that come with working in an industrial setting. Some of the most dangerous substances used include benzene, solvents, and paints. Workers in the construction, manufacturing, and waste disposal industries often have the highest risk of being exposed to these materials. Most of the concern associated with chemicals in the workplace is caused by the potential of absorbing dangerous materials into the skin. Eventually, this absorption could lead to toxicity. The measure of how toxic a chemical is to humans is based on the percentage of it reaching a harmful concentration inside the body. It is important for any employee in an industrial workplace to understand recommended and permissible exposure limits and the proper safety procedures for handling chemicals. To protect industrial workers, regulators have developed two measurements known as recommended exposure limits (RELs) and permissible exposure limits (PELs). These measurements help determine the safety levels of chemical exposure at all job sites throughout the United States. The National Institute of Occupational Safety and Health is responsible for assigning the RELs of chemicals in the workplace. If a company goes over the recommended exposure limit, they run the risk of exposing their employees to long-term health issues. To acquire the REL number of certain chemicals, the institute relies on scientific evidence. They look for the percentage of damage on the human body done by the chemicals in question. In contrast, the Occupational Safety and Health Administration (OSHA) releases a list of PELs allowed in the workplace. This measurement provides a definitive outline of the safety exposure levels of all chemicals used in the workplace. Some believe PELs should become the legal standard for all industrial worksites. However, there are some who would argue that the PEL index numbers are less objective than REL numbers. This is because the PEL numbers fail to reflect the actual amount of harmful chemical exposure. Chemical exposure can happen in a variety of ways. The first priority of all companies should be providing appropriate safety precautions that protect their workers from harmful chemicals. It should be mandatory for employees to wear respirators, hazmat suits, gloves, and other protective equipment when necessary. Also, the workplace should be adequately maintained and pass periodic inspections that ensure the safety of all employees. 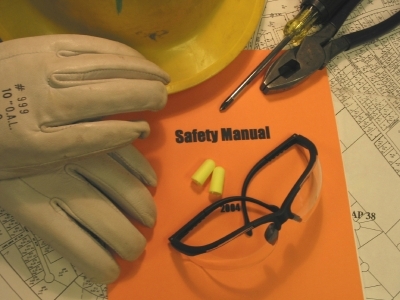 These actions will help prevent unnecessary accidents from occurring at an industrial job site. If you have been exposed to a high level of hazardous chemicals inside your workplace, contact a personal injury attorney. Hiring a personal injury attorney can become a helpful resource in identifying dangerous substances and starting the process of seeking compensation for personal damages. It can be difficult to navigate the intricacies of a personal injury claim. Hiring a personal injury attorney will give you access to someone with your best interest in mind. If you need help with a workplace injury claim, contact the law office of Attorney Dean Boyd. Call us today at (806) 242-3333 or Contact Us via email to learn more about how we can help with your personal injury claim. You can also visit us in person at 4423 SW 45th Ave, Amarillo Texas or 5012 50th St #103 in Lubbock, Texas for more information about our services.